Home News/Blog Import Coordinators, Why Do We Need Them? Import Coordinators are an essential part of the supply chain process. Most of them are responsible for the handling of import accounts via air, ocean, and ground from start to finish. At iTN Worldwide our imports team is responsible for major accounts like our wine and spirits commodities and our resin cargo. Like any operator, our import coordinators have a strong sense of customer service, especially when dealing with time-sensitive information and getting thorough information from clients. Coordinators have a strong sense of time. They also stay on top of deadlines like sending payment to airlines, terminals and steamship lines for release of cargo and documentation. 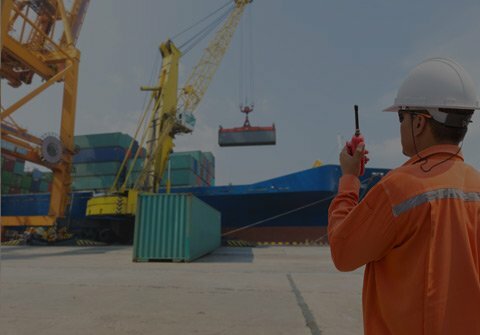 Not only are these operators very skilled at quoting air and ocean imports, foreign to foreign shipments, but they maintain a great relationship with brokerage service vendors. Import coordinators have the ability to multitask and prioritize while being able to work independently and make swift decisions at a moments notice. iTN Worldwide is currently looking to expand the import department with a qualified individual that can make a great addition to the team. We care about the skills, but also about the person and how they would fit into our culture. At iTN Worldwide we like to ensure that all our customers are treated in a professional, courteous and timely manner whether being handled in person, over the phone or via email. If you feel like you have some of the qualities desired we would love to hear from you. Remember experience is important but nothing beats personality, professionalism, and people skills. Email our department supervisor Camila Jenks cjenks@itnworldwide.com for more information or with a copy of your resume.